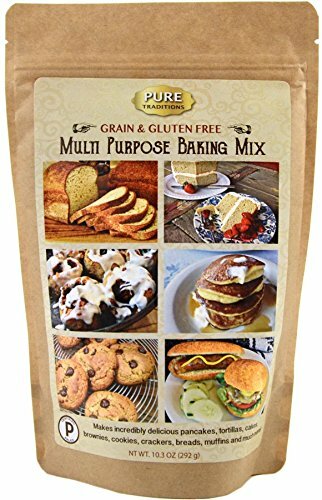 Certified Paleo Multi Purpose Baking Mix - 100% Grain and Gluten Free! 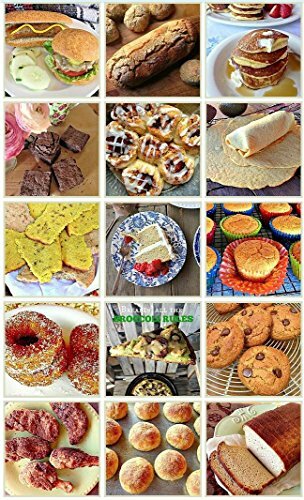 Make amazing paleo donuts, tortilla wraps, brownies, chocolate chip cookies, and double layer cakes and more quick and easy! Hands down THE best baking mix for baking quick, healthy, easy and unbelievably delicious paleo recipes! You can find all the recipes on the Pure Traditions website. 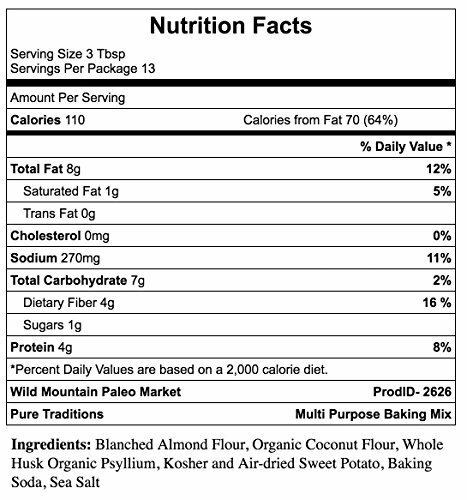 Contains NO Extracted Starches, Gums or Starch Flours.